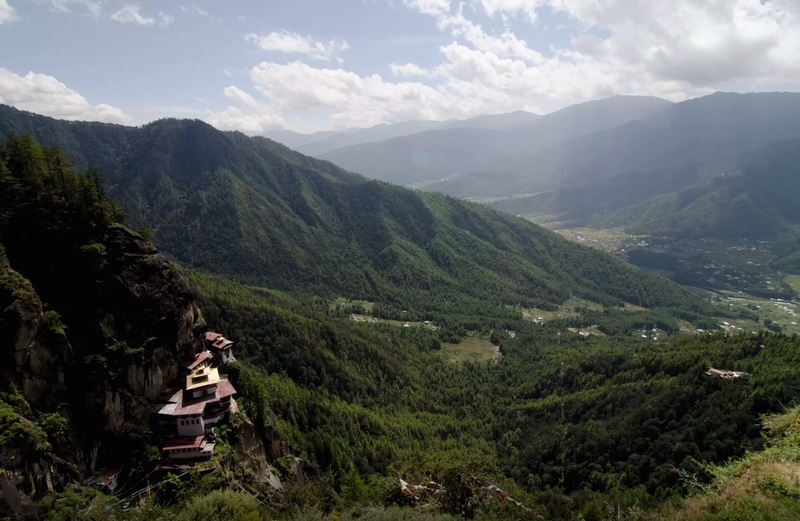 For Bhutan, a tiny carbon-neutral country nestled in the Himalayas between India and China, climate change is not just an environmental problem but a serious challenge to sustainable development. Communities face a range of climate-related hazards: shrinking glaciers and water reservoirs; a higher incidence of diseases spread by mosquitos and floods; as well as more frequent flash floods, forest fires and landslides. For an overview of the changes, the challenges and the solutions, UNDP caught up recently with Secretary Chencho Norbu, head of the National Environment Commission Secretariat. Secretary Chencho, thank you for joining us today. Recently the International Energy Agency released new data showing that carbon emissions continue to rise and that global efforts to fight climate change appear to be falling short. What are some of the biggest risks that Bhutan's communities face now and in a world which is 2-3 degrees warmer? A big one would certainly be water security. This is a significant issue particularly for remote communities which are dependant on local watersheds, yet face mounting pressures on those resources, including demand for water in construction of infrastructure. There is of course also an emerging set of risks related to health. Erratic weather patterns are impacting outbreaks of disease. Meanwhile, storms not known 15-20 years ago are now becoming almost the norm. The formation of glacial lakes is another major issue, one which I have seen firsthand. Back in 2010, when I was the Director of the Department of Agriculture, I took colleagues for an expedition up near the glacial lakes. We spent almost 19 days observing how glaciers are retreating, how glacial lakes are being formed. Seeing these things, you examine why this is happening. There are no settlements up there, no human activities, but you can see glaciers have been retreating for many years. What makes Bhutan particularly vulnerable to the impacts of climate change? Our mountainous geography and remoteness of communities are our biggest vulnerabilities. Remoteness is a real concern when it comes to disasters [projected to increase with climate change]. We see a lot of landslides and road blocks on the eastern side of the Himalayan ranges. This can present a challenge in terms of access in an emergency. If there is heavy snowfall, sometimes traffic from the west to the east gets blocked for about a week. How do we come to the rescue of really remote communities, especially those far away from roads, when calamity strikes? If an earthquake struck – like that which hit Nepal in 2015– we would be in serious trouble, particularly given people’s housing: much of it is constructed on slopes using mud stones. What are the changes you have personally seen in Bhutan, in terms of climate and weather? Well, there are a few signs that things are changing. One example is ubiquity of air-conditioning and fans in Thimpu. In the late 80’s, early 90’s, we didn’t have the need for cooling. Now, it’s become like a requirement. Rising temperatures are also indicated by changing patterns of snowfall. When I was in high school and college, snowfall was a regular phenomenon – you expected it once or twice a year. When it fell, we used to get a holiday. But now, the holidays are over. You hardly ever have snow, but when it comes, it really comes. Last year we had very heavy snowfall – close to one foot. This year, hardly any. You can also see changes reflected in farming practices. In rice cultivation for example, we observe people are starting to grow earlier than they used to. Which indicates they feel it is warmer. At the same time, we have an increase in flooding. When summer arrives, floods are almost normal now. When you witness these patterns and look at the scientific data, it suggests things are shifting. However, investment in research is vital to telling us the story more deeply, more convincingly and in order to influence policy-makers and politicians. You’ve mentioned that having scientific evidence is important to addressing climate change in Bhutan. What else is needed to effectively meet the challenges? At the community level, increasing awareness is important. It is something we can build into our activities – to cite an example: in the last decade, the National Adaptation Programme of Action I (NAPA), supported by the Global Environment Facility and Least Developed Countries Fund, ventured into manually lowering glacial lakes. It was a successful exercise not only in lowering the lakes, but also in educating people – during the process local leaders and labourers became more informed about the changes taking place and associated risks. Labourers took the information home to their families and communities. At the sectoral level, I think ‘speaking the same language’ and maintaining focus is essential. This is not limited to Bhutan but applies across the board. For example, while in the same room we may agree on priorities, once outside the room everybody focuses on their own sector. Yet if local actors, donors, and implementing partners speak the same language, that is, understand each other, there should not be a problem in setting or addressing priorities. Finally, effectively engaging partners. This is something we do consistently at the Secretariat of the National Environment Commission, as one of our tasks is to “mainstream” – or integrate – environmental considerations across various sectors. To do that, we must reach out to various partners and work with them. What do you think are some of the keys to effectively mainstreaming climate change and environment issues into development? I would say taking a participatory approach [to addressing environmental issues]. Yes, it takes time to consult. But it is worthwhile because in the process you learn from each other. You learn from communities – their culture, their traditional knowledge, their best practices. And then you talk to experts and bring in best practices applied elsewhere. When it comes to the sectors, we need to understand their priorities and approaches. When we propose to industry, ‘How about adopting energy efficient technology? How about reducing pollution?’ we need to be responsive to the challenges they face. While they may be willing, it may expensive. This is when we need to compromise and approach the government and donors to help provide incentives. We need to negotiate with common understanding. To be informed but also empathetic… to put ourselves in the shoes of others and not simply impose [new rules or technology] but to engage through dialogue. Secretary Chencho, how has your career progressed in the area of environment and climate change and sparked your passion in the first place? My work has been directly or indirectly connected to the environment or climate change since studying as an undergraduate - I first majored in soil science, then I did my Masters focused on the same topic at Cornell University. Prior to my current role at the National Environment Commission Secretariat, I headed Bhutan’s Department of Agriculture for almost four years, then I spent over three years in forests and park services. Regarding what sparked my passion for working in this area, well, it’s a long story! But I think a pivotal point was after I finished high school, visiting a very remote village. I saw we could do a lot to improve livelihoods, to help communities manage their soil and natural resources. I thought I should do something. Given your experience and career working in environment, what advice would you give young Bhutanese who want to work in environment and climate change? Recently around six graduates joined our office. I tell them, if you want to be ahead of your colleagues, the best thing to do is read. But also, to see it for yourself and to do it yourself. In the field of the environment, you must combine these three things. It’s particularly important in Bhutan because of our diversity. Technology successfully applied in one valley will not apply to another, so you need to understand the landscapes. Furthermore, you need to understand local people’s perspectives, their culture and the way communities are living. For them to accept and trust your advice, to treat you as part of their team, you have to be on the ground. Only then, probably, you will win their hearts and you can make a difference. The UN Development Programme has been working with the Royal Government of Bhutan and people of Bhutan since 1973 to reduce inequality, build resilience and empower the disadvantaged to achieve Gross National Happiness and the Sustainable Development Goals. This article was originally posted at UNDP: https://undp-adaptation.exposure.co/grappling-with-climate-change-in-the-kingdom-of-happiness, to learn more about Bhutan’s work addressing climate change, visit the National Environment Commission Secretariat and UNDP Bhutan website here.